After much anticipation, Fikri Jermadi finally managed to sit back and uncork Hassan Muthalib’s ‘Malaysian Cinema In A Bottle’. 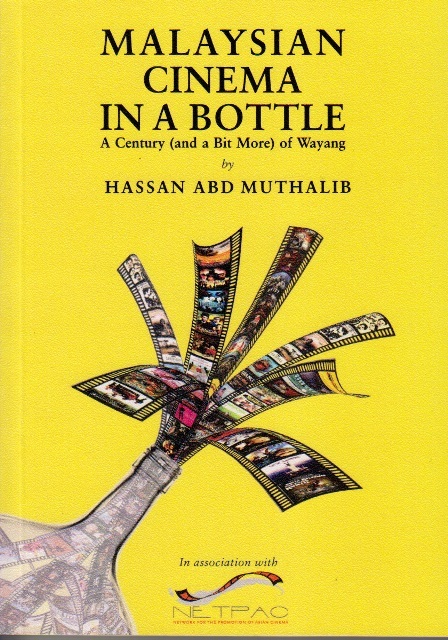 After a very long journey that took a lot longer than it should, I finished reading Hassan Muthalib’s ‘Malaysian Cinema In A Bottle’. It is an exhaustive experience on many levels, for a number of very different reasons, but I ended up feeling fairly satisfied from this experience. The book, presented with a cover in a fetching colour of yellow that is not at all a representation of any political intent (I think, though you can never know for sure when it comes to Encik Hassan), is an account of the history and development of Malaysian cinema, from the very earliest of days to the very latest of trends. The term trend is important, simply because it is quite an important factor in the production of films in a Malaysian context (especially for the more mainstream film producers), and as a result of the writer’s focus, many of the book looks at very current films, filmmakers and the issues affecting them. First off, it must be said that if you know Encik Hassan in any capacity whatsoever, it is very simply and easy to imagine him reading this book to you. I will refer to him as such, much like Italian footballers refer to their managers as ‘mister’ in reference to the early English influence on their game. Many others would refer to him as Cikgu, simply because of his very strong influence in the career advancement of others. 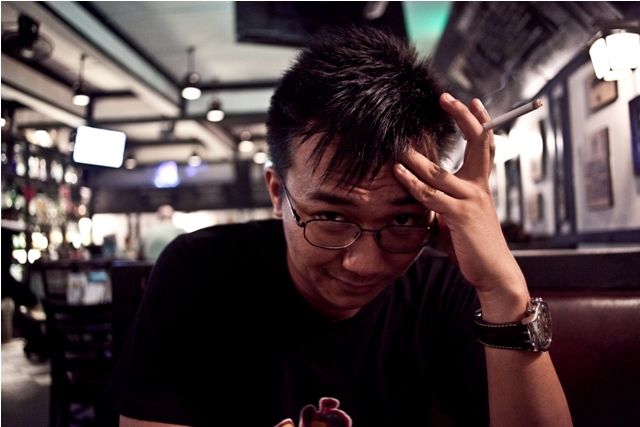 Even then, I am ignoring his significant accomplishments in his own right as a filmmaker in the Malaysian film industry. In short, then, this is a book written by someone who has lived through quite a lot of what he himself has written, and the book reads as such. In some parts, it feels as if the book is little more than a dictation of what the man himself has to say. He started off with an analysis on the origins of films and filmmaking in Malaya/Malaysia. 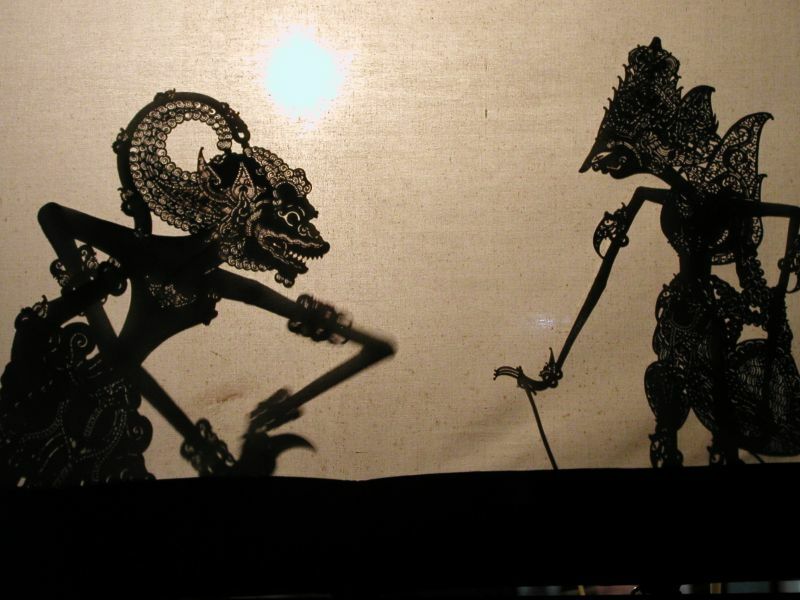 He identified the wayang kulit as the very beginning not only of such over storytelling performances, but also as a form of film appreciation. As an aside, I wrote something similar on this particular issue some years ago, and while it may not necessarily be a ground-breaking shift of discourse, it is nevertheless pleasant to see how at least some of our view is aligned with one another. Not the Star Wars edition. He then continues through to the apparent golden age of Malayan cinema, and the films of P. Ramlee. In particular, his analysis of a specific film, ‘Pendekar Bujang Lapok’, was incisive and impressive to read. It is a reminder that I still have a long way to go in such in-depth and critical analysis. With that in mind, I think a similar approach to some of the films he did mention would be interesting as well. For example, he wrote that some films like ‘Sayang Salmah’ did not have a clear theme, which is perfectly fine, but a lack of clarity about this lack of clarity was a little frustrating to say the least; I would have loved to read more about his thought process. Therein lies a part of a minor problem for this book. The lack of a consistent tone throughout this tome made it difficult for me how I should read it. At times, it feels like an expose of the industry machinations that many may suspect but have not been willingly backed up with a proper naming of names. At other times, it feels like when he delves into some of the films, they are film reviews that can be enlightening, but of course that approach is not taken to each and every film. Beyond that, I feel like this book could also be taken as an academic text, should it be defined in a more specific context. I mentioned briefly about his own involvement in the industry; here, he appears to be indecisive whether he should refer to himself as I, this writer or Hassan Muthalib. It is this mish mash of approaches that makes me wonder about the correct approach and standard with which to appraise this book. It is a small pity, because content-wise, it covers a lot of area many other researchers, writers and academicians fail to cover as incisively. His chapter on the rise of the newer filmmakers, for example, was enlightening. To be more specific, the text written on Malaysian Indian cinema was very fruitful to read. I had tried to do some research on such films previously, but the relative lack of sources had made it trickier than most. This book, then, helps to fill a part of the gap. In fact, it is an extension, in some ways, of Encik Hassan’s chapter on the same subject for ‘Glimpses of Freedom’, a collection of critical essays edited by May Adadol Ingawanij and the late Benjamin McKay. Perhaps the gap is somewhat indicative of the lack of support for such films to begin with, and in that respect, this book’s existence is of the utmost importance. The focus given to the younger generations is also appreciated. Though at times it reads as little more than lists of films and filmmakers, it does put into official writing the contributions of people such as Aaron Chung, Khai Bahar, M. Subash Abdullah, Mark Tan and Yeo Joon Han, amongst many others. One of the other reasons why I took a fairly long time to finish it is the spelling and grammatical mistakes. I won’t, however, go into the details too much, and this is why. Recently, I organised an event about playwriting at my faculty, and was pleasantly surprised to see Encik Hassan in attendance. I shook his hands warmly, and told him I had finished reading his book. He asked what I thought of it, and as I considered how I should convey the book’s cons as well as its pros, he looked at me and almost immediately cut me off: “Yes, yes, about the spelling mistakes, don’t talk lah!” I immediately laughed out loud, for it was precisely what I was about to mention, and was glad I didn’t have to tiptoe around the issue. The funny thing was the mistakes were not like him at all. I have read plenty of his writings in the past, and they tend to be very articulate and lucid accounts of his own thoughts and opinions. This book would have been his most complete work on a subject he is clearly passionate about, so it was incredibly strange to see the kind of mistakes made. The very good news, though, is that a lot of the stuff I have mentioned above is already being reviewed. I bought the first edition of the book, and many were initially envious of my possession of it, since it was quickly sold out. Judging by the exchange above, though, I suspect the owners of the second edition will find the reading experience to be a lot more fruitful. If Encik Hassan has more time, I would suggest the inclusion of an index to be very useful. Even if that’s not the case, ‘Malaysian Cinema In A Bottle’ (any reference to ‘…Dalam Botol?’ No? OK then…) remains an important and invaluable addition to texts on the subject matter. The fact remains that these books are far and few in between to begin with, and Encik Hassan’s efforts shed much light on parts previously left in the dark for whatever reasons. I only wish that he had gone into greater detail in some parts, and then he had let himself off the leash a bit more, but like I said, this may no longer apply once the second edition comes out. Encik Hassan is a walking, talking encyclopedia of Malaysian cinema and its history, and I believe that this book is a very good reflection of that. I do have to end with this, though. A writer wrote what some would say is a review of this book for the Wall Street Journal (actually, it’s more of a piece looking at Encik Hassan himself; the word ‘review’ does not appear once in the article), and it was mentioned that Encik Hassan’s book is “the first English-language overview” on this subject. This is erroneous. I don’t know whether they are actually the first books on this topic, but Hatta Azad Khan’s ‘The Malay Cinema’ and ‘Malaysian Cinema, Asian Film’ by William Van Den Heide are seminal texts on the subject matter, and they were published many years ago. Other books, such as ‘Reclaiming Adat’ by Khoo Gaik Cheng, ‘120 Malay Films’ by Amir Muhammad and Raphael Millet’s ‘Singapore Cinema’ (because we were once a nation, and thus shared a significant portion of the early history of our films and cinema) may also serve as good companions that will lead to a more complete understanding of the subject matter. Hell, van der Heide’s book is even available for free online. A modicum of research would have made this clear, and I wish that writer had cared enough to do that, just as I wish many others would care enough to uncork the delights not only of this book, but Malaysian cinema as whole. Fikri thinks that it’s a shame Hatta’s book is so difficult to find. You can buy the book, published by Merpati Jingga, here. Hey guys, FilmBah here again! I, like yourself, immediately bought the book from Merpati as soon as I heard about it (that was strangely not available on the bookshelves where I would expect them to be, so had to resort to online). So it was really great to read your views on it. I agree on some points, though I’m just digging into the analysis of ‘Pendekar Bujang Lapok’ myself. Finding the right mindset to read the book with its both informational and informal approach took a little longer to getting used to. Being a self-learning student of film, I am really interested in the subject of studying cinema history, particularly Malaysian cinema since there seems to be so few texts (much less, the ones that one surfaces to the ‘mainstream’ such as this one) on the subject. I really liked the bit on some other English-language seminal texts on the subject and just have a few questions to ask. Can you provide any links/ideas on where such texts (or any other that you didn’t mention) can (still be) acquired? And which scholars/academicians/writers that I should be aware about to read about their discourses? I only know about Encik Muthalib and Geik Khoo in my oh-so gaping understanding of our cinematic heritage, and you guys just looked like the sort that could point me in some directions to go from there. Thanks guys! And I cannot never say enough of keeping up the good work you guys are doing! Hello FilmBah! Thanks for dropping by once again. Yes, with regards to Malaysian cinema and its history, even in Malaysia the books can be fairly scarce and difficult to find. I mentioned that Hatta Azad Khan’s The Malay Cinema is very probably out of print; it was printed by UKM Press, if I’m not mistaken, and even my own copy is a fairly tattered, hand-me-down copy. Mahyuddin Ahmad from Universiti Sains Malaysia also does plenty of work on Malaysian cinema on a more general level. 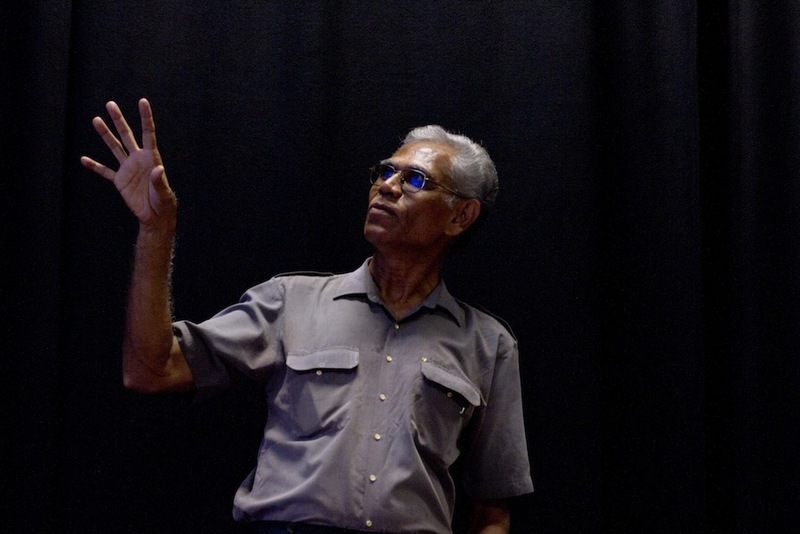 Zakir Hossein Raju looks more at cinema from the margins in Malaysia, such as the Indian and Chinese perspective. Gordon Gray has a book called Cinema: A Visual Anthropology, which looks at cinema as a whole with minor parts focusing on Malaysia, but you might want to check out his PhD thesis floating out in the web somewhere, which looks at modernity in Malaysian films (though it was done in the early noughties, so it’s probably not the most updated of works). The link to van der Heide’s book is given in the post itself. There’s a academic journal called Jurnal Skrin, published by my faculty, the Faculty of Film, Theatre and Animation, UiTM. Admittedly, the most recent editions are not as available online, but the ones from a few years ago are readily available, even from the official university site. Those are the ones we can think of off the top of our heads. Have fun checking them out!